With teams meeting the deadline to add players to their 40-man roster, the Royals added three pitchers on Tuesday in Scott Blewett, Josh Staumont and Arnaldo Hernandez. The three prospects find themselves on the roster after different career paths to date. In Staumont and Blewett, the Royals have a pair of 2nd round picks from the 2015 and 2014 drafts respectively while Hernandez was an international signee in 2012. After starting his career in the rotation and pitching there primarily for the first three seasons of his career Staumont made the transition to the bullpen in 2018. In that role, Staumont can still employ his three pitch mix of a fastball that works 94-97 mph, his low-80s curveball and a mid-80s changeup. The control continues to waver for Staumont after walking nearly 16% of the hitters. For those who get to see him with regularity, it’s somewhat odd as the misses come in waves where he will pile up walks after flashing better control. The stuff is good enough to earn outs but he has yet to even flash usable control for an extended period of time. While Staumont has been unable to harness his control, Hernandez has moved up the ladder with the aid of good control prior to 2018. Working mostly in the low-90s, Hernandez saw increased velocity in ’18 with a fastball that worked in the mid to upper-90s from spring training through the full season. 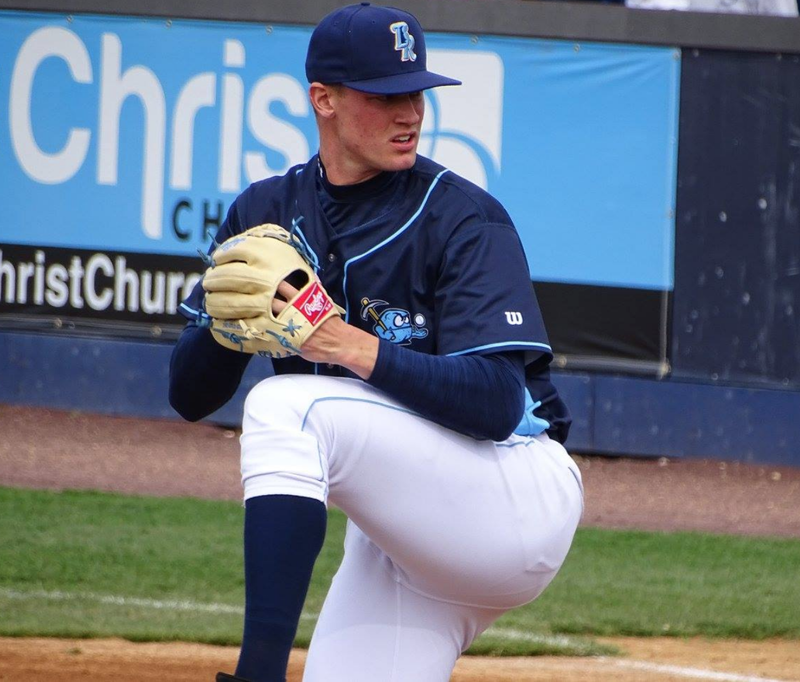 The right-hander was bored in Wilmington according to people within the organization leading to a promotion to Double-A and eventually Triple-A Omaha when they needed starting help. There, Arnaldo flashed dominance with a pair of seven-inning two hit starts and a nine-inning complete game that featured 80 strikes on 97 pitches. His changeup is probably his second best pitch, showing good speed separation and arm speed, though it could use more sink and/or fade. The right-hander’s curveball can also show quality and he has the control to lean on any pitch in any scenario while sinking and moving his fastball around the zone. There is a chance he can start at the big league level as a backend arm, but there are some worries that the stuff could be a little too flat for that role. After another disappointing season starter, Scott Blewett pitched his way on the roster with an impressive Fall League performance. The big-bodied right-hander tossed 25.1 innings with a 2.49 ERA there, getting off to a fast start. Reportedly, the fastball was touching 96 while sitting around 93 mph as it had during the season while the curveball was on point in it’s low-70s range. That pitch had been his best secondary pitch in previous seasons but he didn’t quite have the feel for it at times this past season. At it’s best, it’s a good 12-6 pitch that can earn swing and miss at the bottom of the zone while also getting groundball contact. The changeup continues to flash but it is inconsistent pitch to pitch. With his size and decent control, he should be an inning-eating option at the back of a rotation but his changeup has to come forward and prove to be a pitch he can lean on next to the fastballs and curveballs. Notably, Frank Schwindel and others were left off but given this front offices track record they likely feel comfortable he and others won’t be chosen.